Today is the final installment of the On Writing & Riding Series. These interviews evolved out of a desire to learn about the behind-the-blog thoughts of some of my favorite bloggers. Many thanks to all who took the time to contribute and be part of this series. 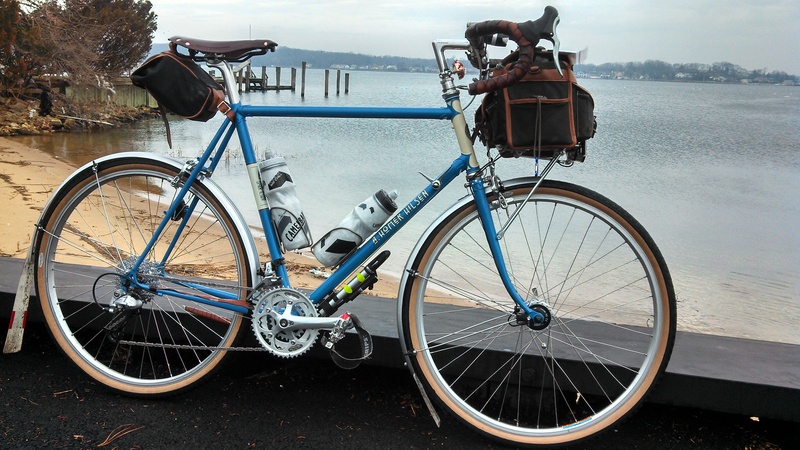 We close On Writing & Riding with Iron Rider, who writes primarily about randonneuring (although he coffeeneurs too!). Iron Rider’s posts not only capture a ride well, but he has always seemed to enjoy a sense of freedom with his writing. He is not afraid to experiment and vary the way he expresses himself, and that keeps me coming back to his writing. 1. Can you tell us a little about the general geographic area where you ride? 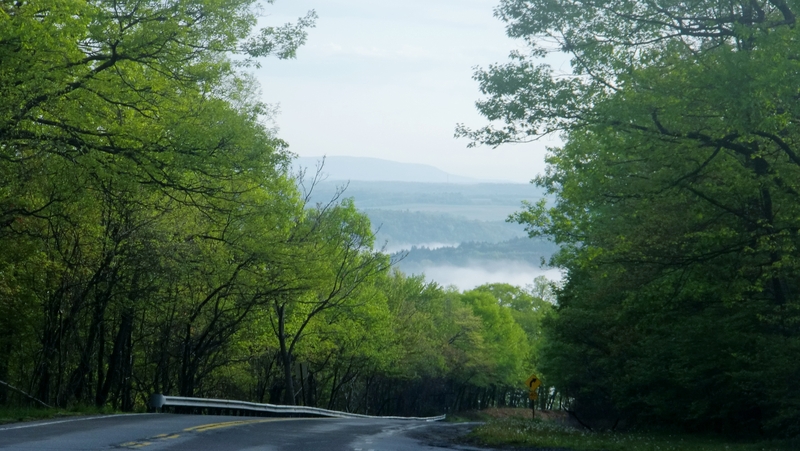 Most of my rides take place in southeastern Pennsylvania and in New Jersey. The terrain widely varies and includes urban and suburban areas, small towns, and farm country. Some unique areas are the Amish farms of Lancaster County, Blue Mountain and the Delaware River. However, I also love to ride in different parts of the country and I’ve done significant rides in over 14 states so far. I hope to keep adding states and countries to that total. 2. What is one sentence that summarizes your blog? Writing from a mid-life cyclist. 3. How did you come up with your blog’s name, Iron Rider? The Iron Riders was the name given to the only bicycle corps the U.S. Army ever authorized. In the 1890s, operating from Fort Missoula in Montana, the unit conducted drill and exercises on 100-pound bikes, rode into northern Montana and toured Yellowstone. They also rode 1900 miles from Fort Missoula, across the Rocky Mountains and the Great Plains, to St. Louis. Despite their proven capabilities, the unit was were never used in combat and apparently, they came just slightly behind the technology curve. Their story and the things that they accomplished with turn of the century technology continue to inspire me. 4. Much of your blog writing is about the randonneuring preparation as well as stories of the brevets you do. What aspects of randonneuring do you like to blog about? The brevets are my muse. Each one has a basic similarity but each is a unique experience. I enjoy trying to convey a sense of that uniqueness in my blog posts. 5. In your experience, what elements make for a good ride report? I like reports that give the reader an idea of the ride beyond mileage and stats. What did it sound like? What did it leave with you? What made it worth writing about? How did it feel to have been there? Reports that convey a sense of the experience are the ones I enjoy reading. 6. You also have a regular feature called “First Friday Writing for Randos.” How did you start that series and how you choose to highlight the writing you do? I started First Friday Writing For Randos (FWFR) in February 2012. It was cold outside and the rides were few and further between. As a relatively new randonneur I was (and am) still trying to get my mind around the many facets of the sport. I’ve always been a reader and I found myself finding relevant passages in non biking sources. So I decided to start a series of posts that shared writing that I enjoyed and that I somehow linked to randonneuring. Some connections are obvious – others not so much. The selection process is not at all scientific. I read stuff and if it rings that bell, I blog it. I have showcased published authors, bloggers, poets and whatever struck my fancy. I try to provide links to the source so that the authors can get the credit they richly deserve. In all honesty, FWFR has been a real labor of love and in my opinion it has some of the best writing on my blog (none of it mine) yet ironically it never gets the high page views that other posts have received. One day, I hope to collect the posts into a printed format if for no other reason than I know that would be a collection I would enjoy for long time to come. There are posts in there that I will always carry with me on a ride. They have also been a source of motivation and inspiration. For example, I remember one long cold ride this past January when the poem “The Snow Man” by Wallace Stevens came to mind. And all of a sudden I knew, I really knew – what it meant to have a mind of winter. That poem, and winter riding, will never be the same for me again. 7. Which authors appeal to your randonneuring and endurance sensibilities? Any book recommendations? Oh this would be a long list. I am a big fan and regular reader of your blog. I also read many blogs from other randonneurs, including Kent Peterson and Vincent Muoneke (Spokesong) to name just a couple. I read technical training articles and books as well as travel literature. Book recommendations? Hmmm I can give two – Off the Map by Mark Jenkins and Be Brave, Be Strong: A Journey Across the Great Divide by Jill Homer (a kindle book) – but my real book/reading recommendations are in the collection represented by FWFR. 8. Who are you writing for? Do you have a particular audience in mind? I write for my wife and kids, so I can share this part of my life with them. I write for my friends who share a passion for living an active, full and adventurous life even if their medium is not randonneuring because my blog is not just about the ride. I write for other randonneurs and cyclists who, like me, find inspiration and motivation reading about those who dare to go further and lastly, I write for me, so that I remember and relive these fleeting moments. 9. What do you like about blogging in general? I like that I get to say what I want how I want. It can be poetry, prose or pictures or videos. I enjoy the challenge of trying to get it just right and the feedback when someone connects with something I wrote. I was surprised and continue to be surprised by the number of page views I have received. I was even more surprised that the posts that get the highest number of hits, by far, are the occasional product reviews. 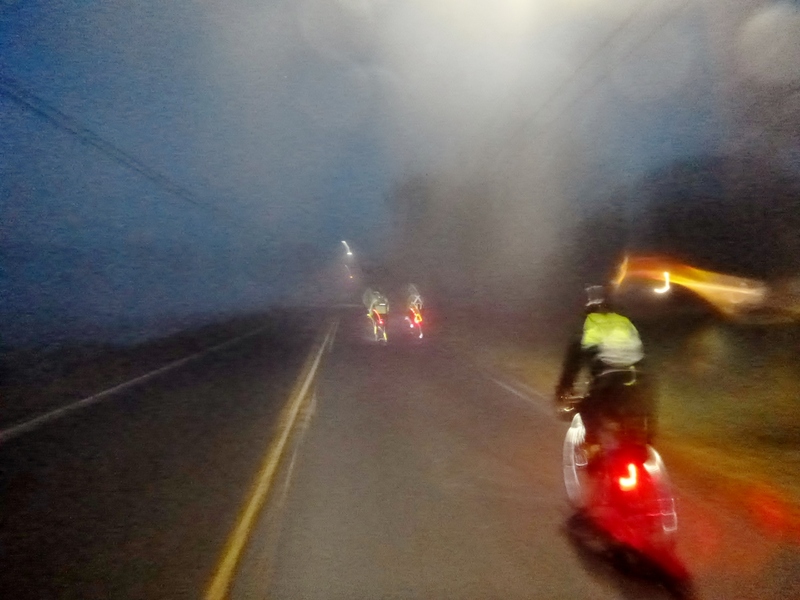 It is appropriately humbling to know that a heartfelt piece I wrote about a significant ride pales in popularity when compared to a review of a battery-powered headlight. Oh well. Actually I don’t have a favorite one. While I have a few posts that are less significant to me, most of the ride accounts reminds me of a different experience and each one is its own special memory. 12. What did I forget to ask you? I hope to encourage someone to step out of their comfort zone to take on a challenge that is meaningful to them, whether that is a physical challenge or a creative challenge. Dare to go farther, dare to do more. Hello Iron Rider, Very glad to see you here, and so also thanks MG. I have to say, though I appreciate that your every Friday posts were a challenge to maintain, and didn’t ge a lot of hits, they were a bright spot in the blogosphere and one of my favorite things to read. I’m glad they continue as First Fridays. So, thanks.